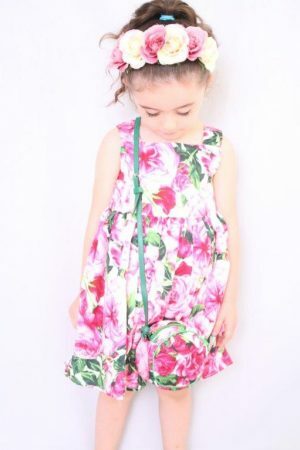 Any little girl is ready for a brilliant shot on a warm vacation in this cute dress with matching hat set. Perfect for trips to the beach or a warm day outdoors. Made in the finest cotton fabric for ultimate comfort and quality. The fabric is intentionally thin as this dress is designed for warm weather and is breathable and flowy. 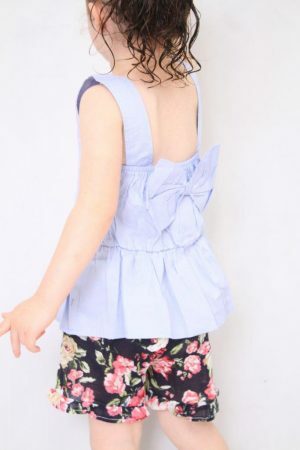 The child model is 2 ½ years old, weighs 14 kgs and is 109cms high and is wearing a size 3.